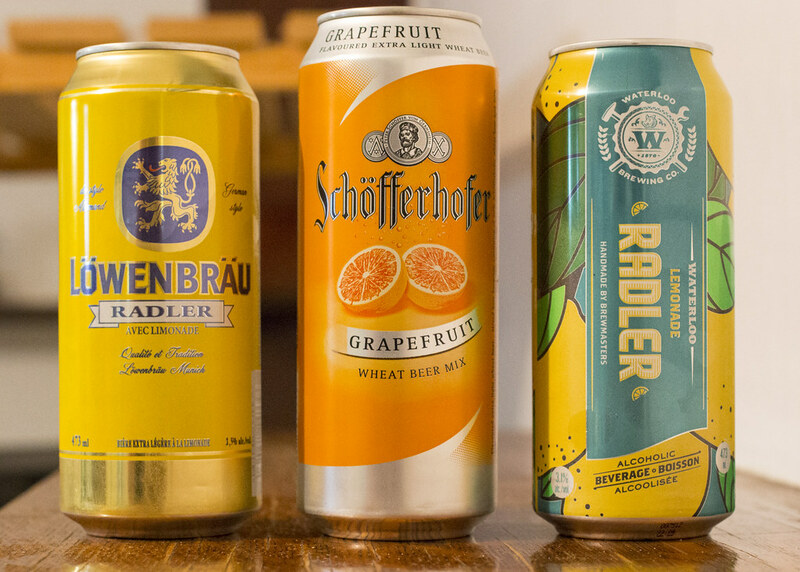 Radlers are slowly becoming popular in Canada with several breweries all over Canada are mixing various juices (lemon, grapefruit or blood orange) with a wheat ale or pilsner. With this, it lowers the beer’s alcohol content to 1.5 to 3.5 percent ABV. It’s been said that the creation of the Radler dates back 90-some years when leisurely cycling became an increasingly popular pass-time in German. Over 13,000 cyclists descended down to a small town brewery and of course - they were thirsty. The brewmaster decided that there would be just enough beer for all the cyclists if he combined a 50/50 ratio of beer to sparkling lemon soda. 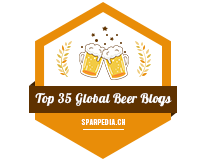 This became an instant success, and even - the word Radler translated to English is Cyclist! Löwenbräu Radler with Lemonade - Labatt now brews the Löwenbräu lager line of beers for the Canadian market, so this includes Radler with Lemonade. The Radler with Lemonade tops out at 2.5% ABV. The beer pours a lightly watered down golden straw yellow, so a tad lighter than Bud Light but it’s incredibly fizzy & carbonated thanks to the sparkling lemonade they use for the beer. Its head starts off as a big fluffy white cloud but quickly diminishes into nothing. The aroma is a combination of sparkling lemonade, grapefruit juice, slightly grassy and a good amount of sugar. The taste starts off with sparkling lemonade, fizzy in my mouth, then there’s a bitterness of grapefruit popping on by and lastly, it’s followed by a combination of grass and lots of lemon to leave it on a sour note. I’ve had several product experts at the 10th & Victoria Liquormart suggest this beer as the general consensus was Löwenbräu was delicious. 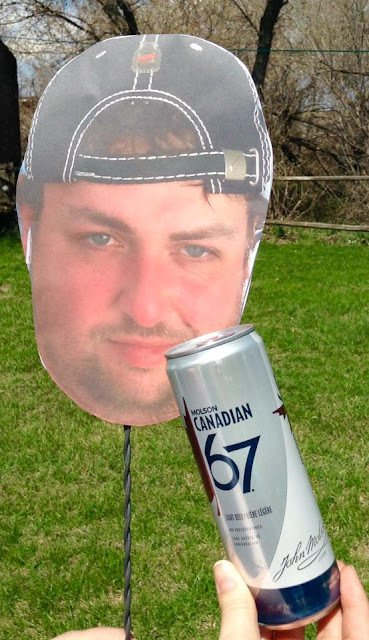 It was actually pretty tasty for being a Labatt product. It’s not overly sweet or syrupy though it does leave a bit of a filmy aftertaste on my tongue. 2.5% ABV. Schöfferhofer Grapefruit - An unfiltered wheat ale straight out of Germany! This was the first Radler I ever tried.. back in 2006, and I didn’t particularly care for it because I don’t like grapefruits. Schöfferhofer Grapefruit pours a very murky orange with not much carbonation. There’s two-fingers-thick of of white-as-snow head on top - though it’s diminishing slowly as I write this stuff out. The aroma is a pungent grapefruit aroma - sour, a tad sweet and makes me cringe a bit! There’s notes of pepper spice, lemon, and slightly musky. After smelling the beer, I’m surprised the grapefruit isn’t as overpowering as it could have been. It’s actually pretty smooth - reminiscent of a beer mimosa. There’s notes of the German hefeweizen which gives off a bit of a bready yeastiness, a bit of banana and clove, followed by grapefruit juice and a squirt of lemon. Very easy to drink and it’s a classic for a reason. 2.5% ABV. Waterloo Lemonade Radler - Ontario’s Brick Brewing has produced some of the most popular craft Radlers for the past few years, and now they’ve introduced a lemonade inspired Radler to the lineup as part of the Coast to Coaster event at select Liquormarts. The Lemonade Radler pours a light golden straw beer with a light amount of cloudiness to it. Very light carbonation - the foam is slowly going down while the beer is fizzing ever gently. The aroma has notes of lemon, sugar, a bit of a grassy profile, but for the most part - an over abundance of lemon. The taste is sour and tart - with an abundance of lemon and lemonade. I would have assumed it would be a bit sweeter, but it tastes more like biting into a lemon. Not anywhere near as carbonated the Löwenbräu as it’s more of an up front lemon sour bite instead. I find that Waterloo’s Lemonade Radler is slowly upsetting my stomach, the overly lemon aspect of the Radler may be a bit too much for me, but with that being said - it’s an awesome patio style beer. This is the strongest of the bunch at 3.1% ABV.